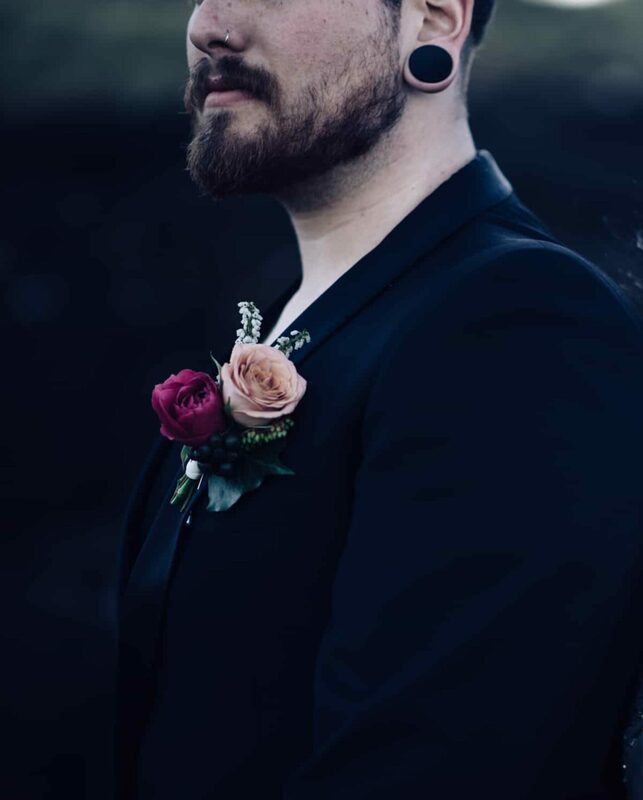 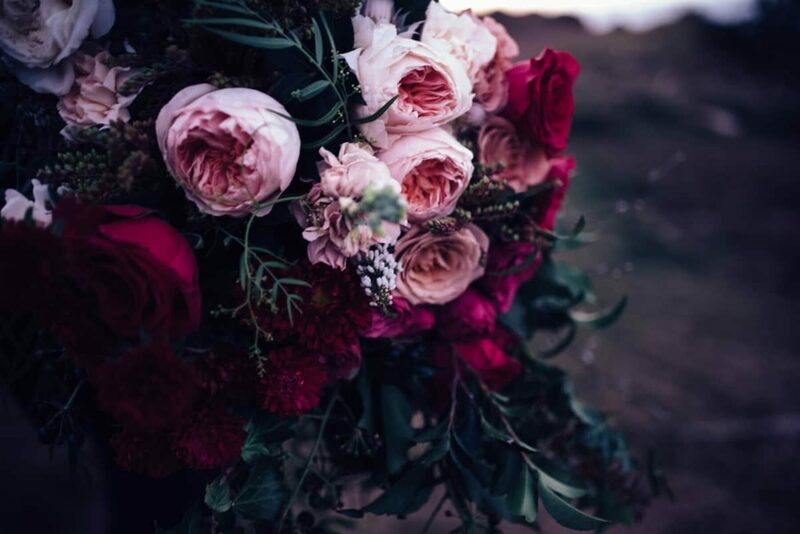 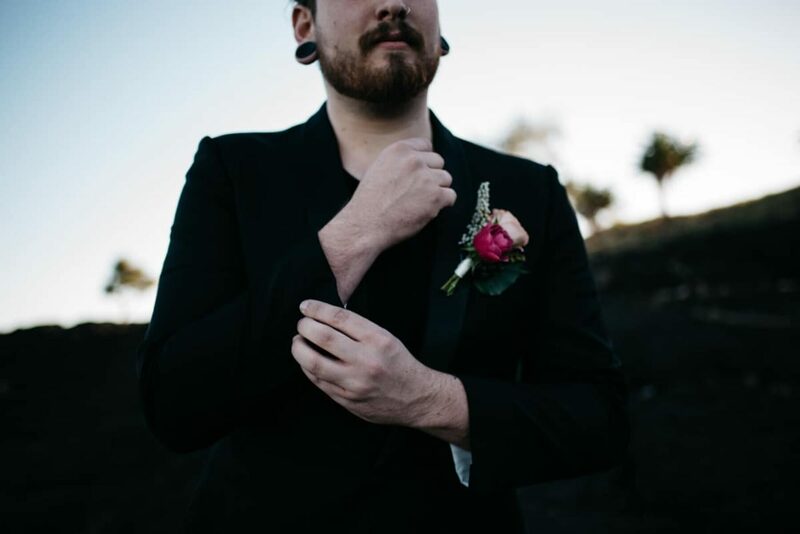 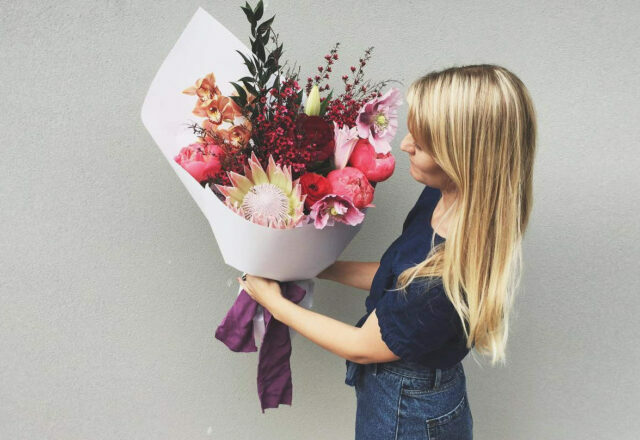 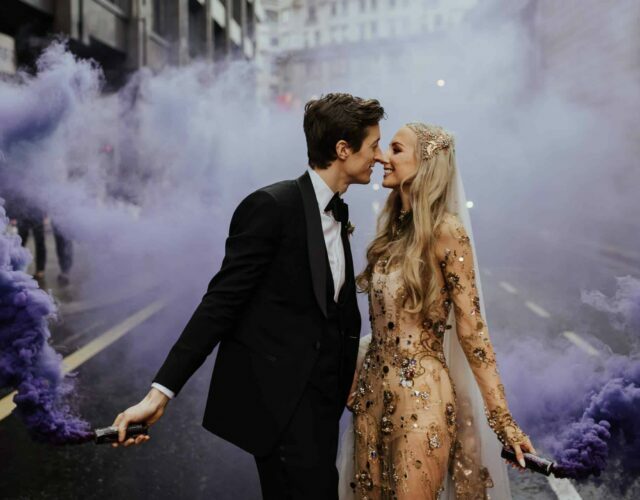 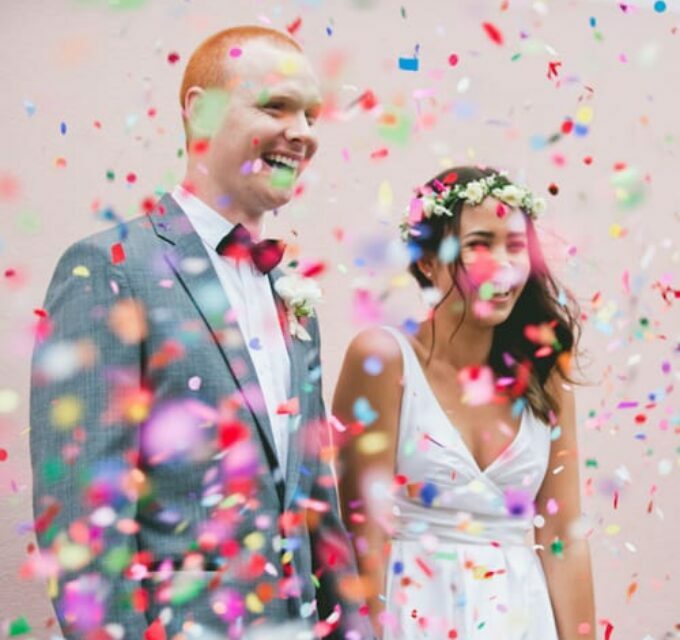 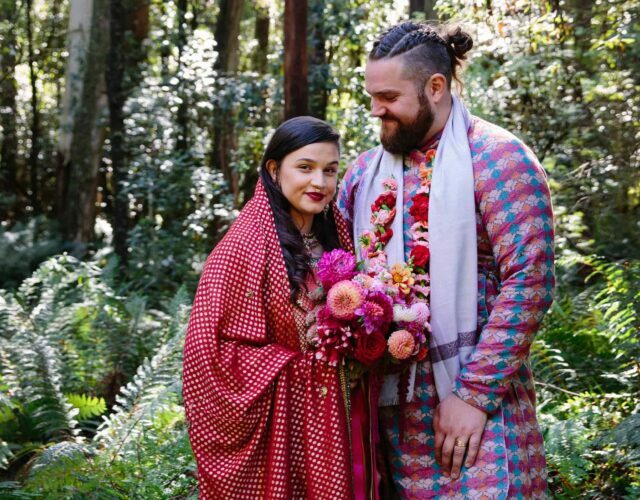 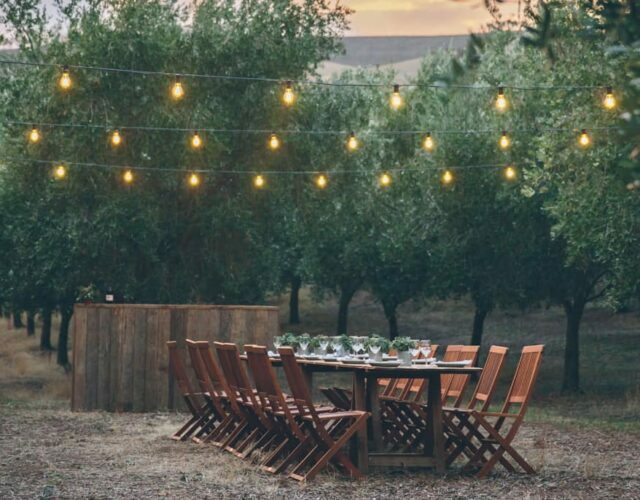 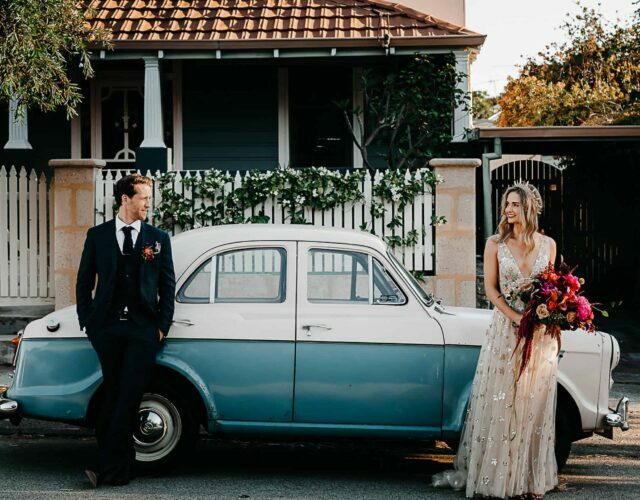 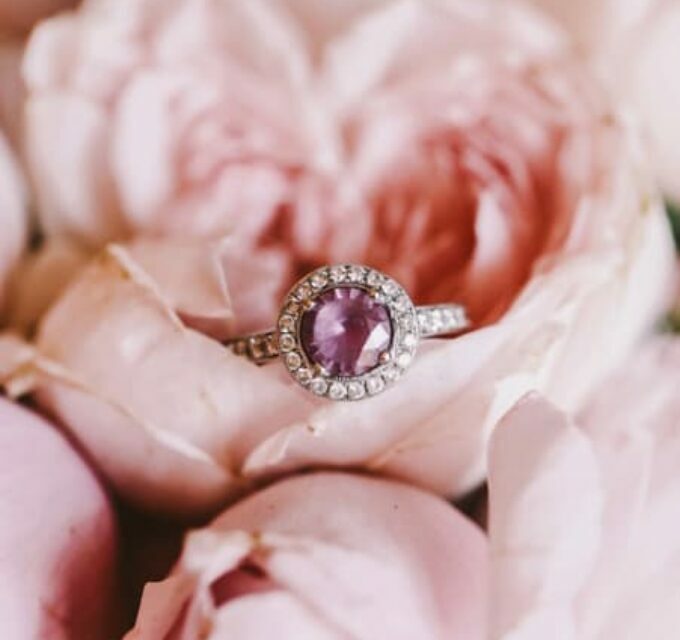 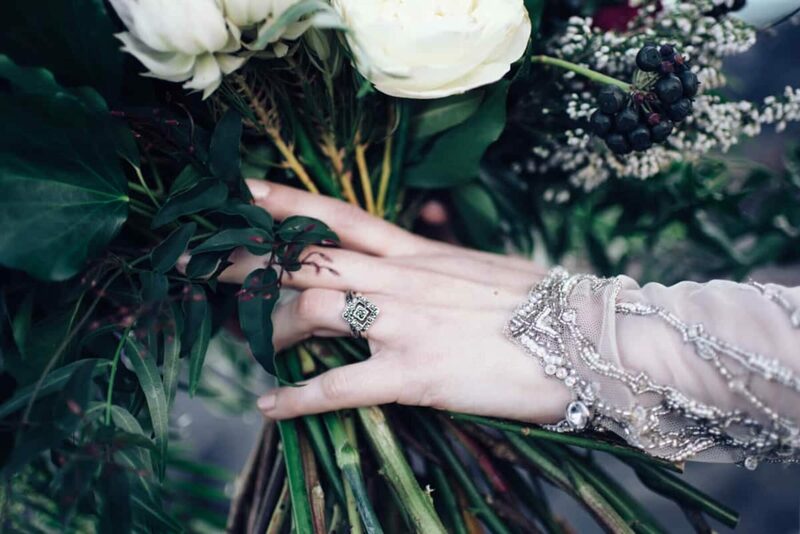 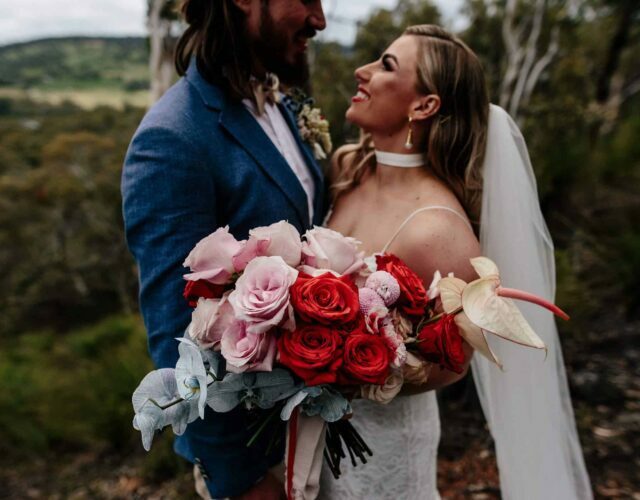 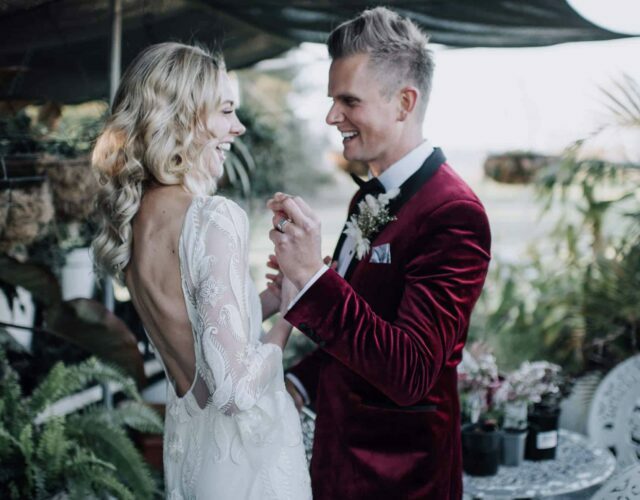 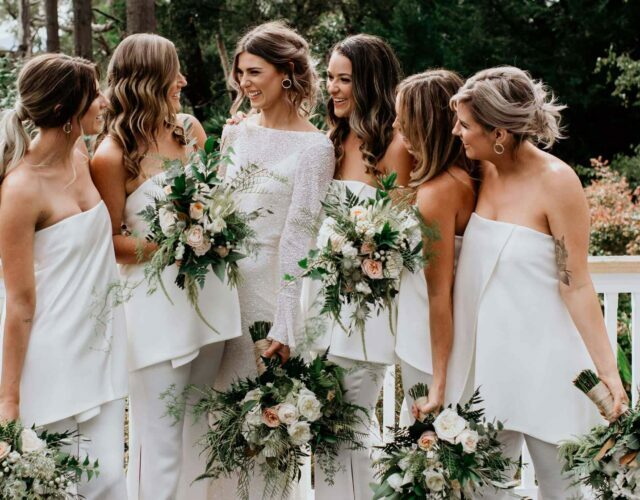 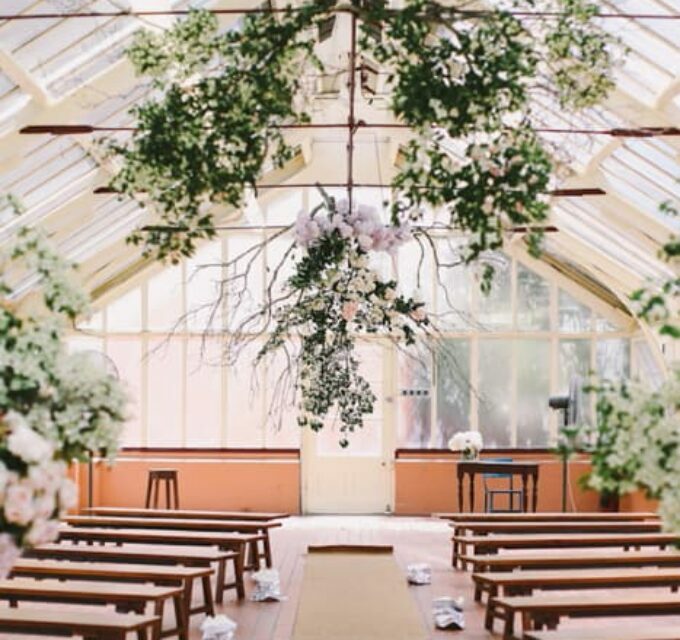 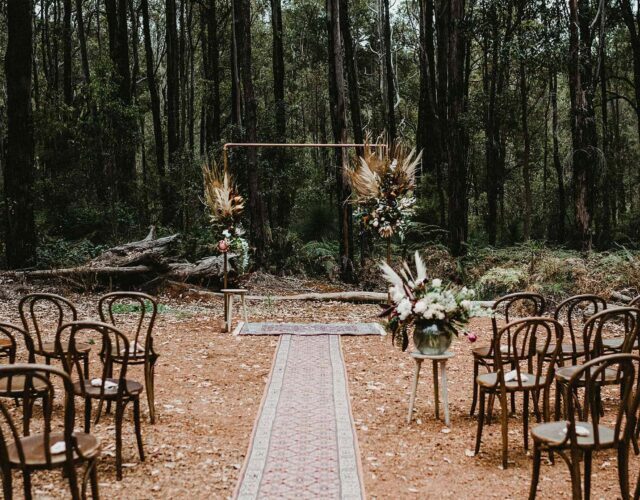 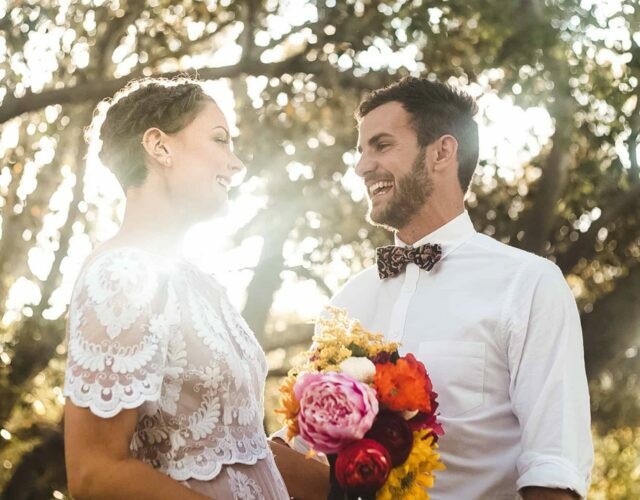 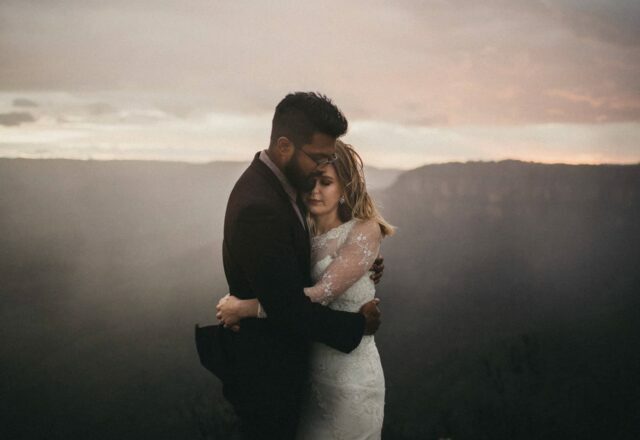 These stunning images by Amanda Hamilton of Peppermint Photography are proof that there’s nothing better than real life romance to inspire creativity. 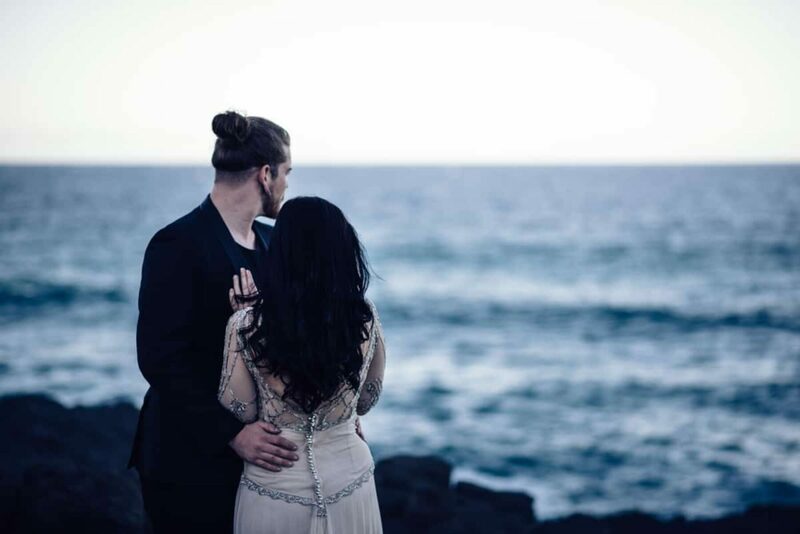 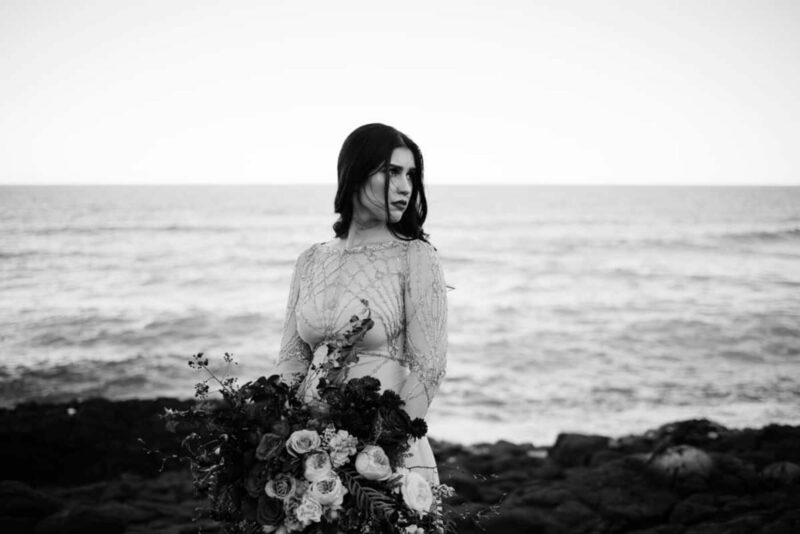 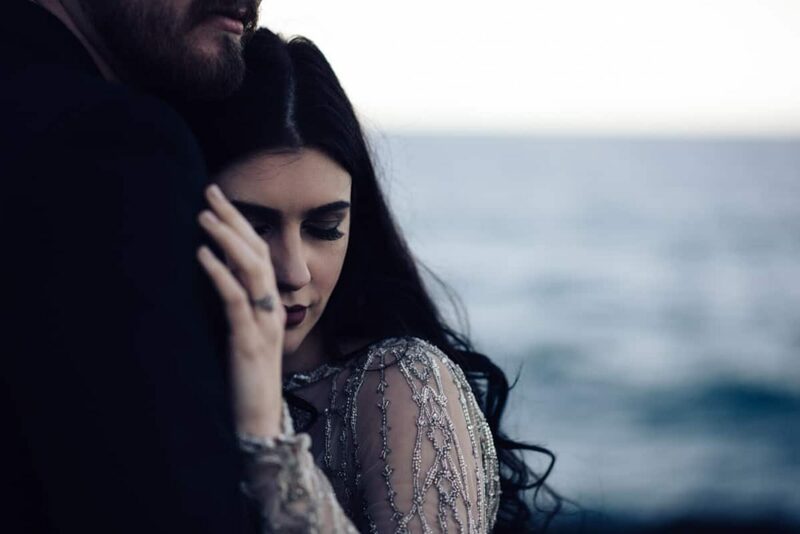 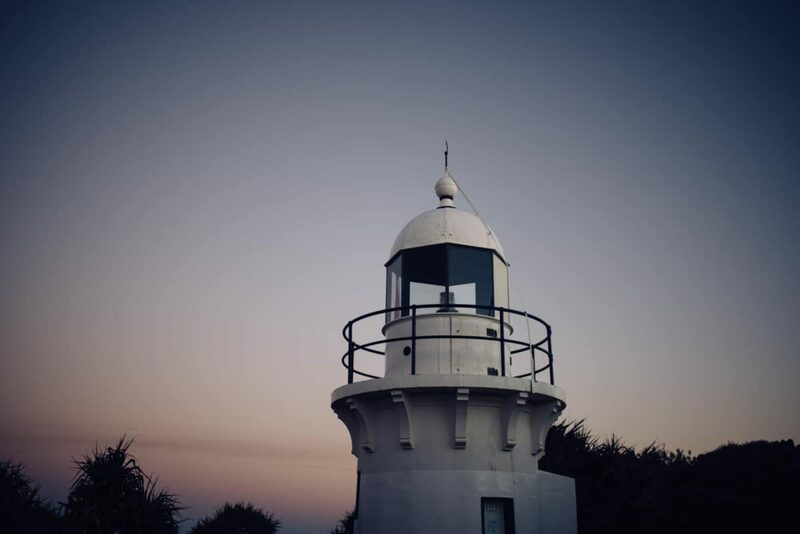 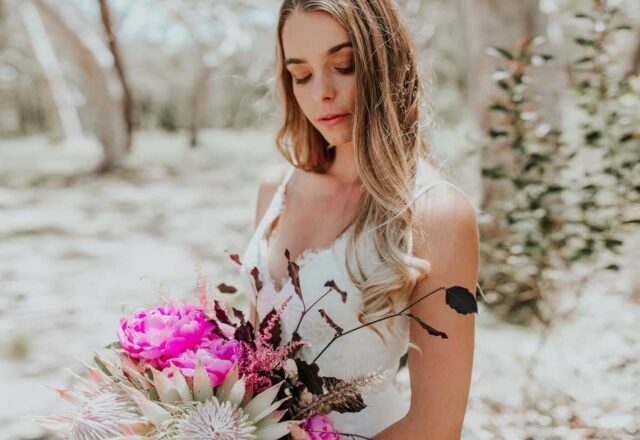 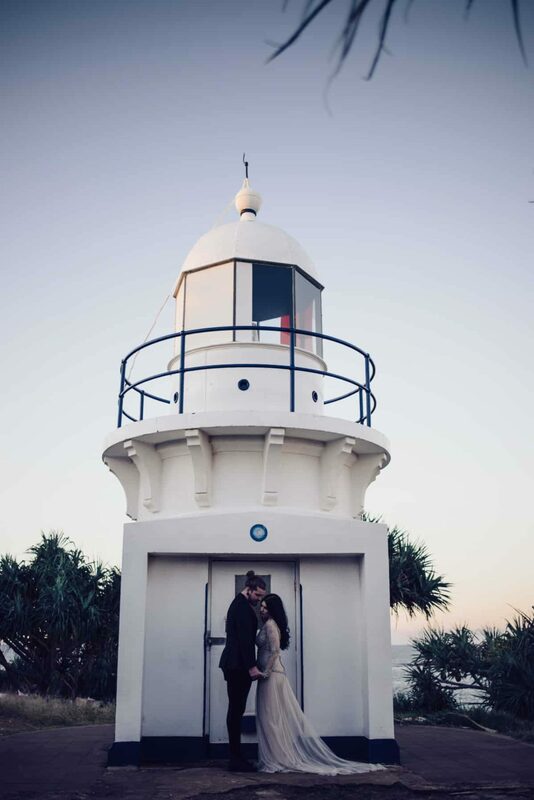 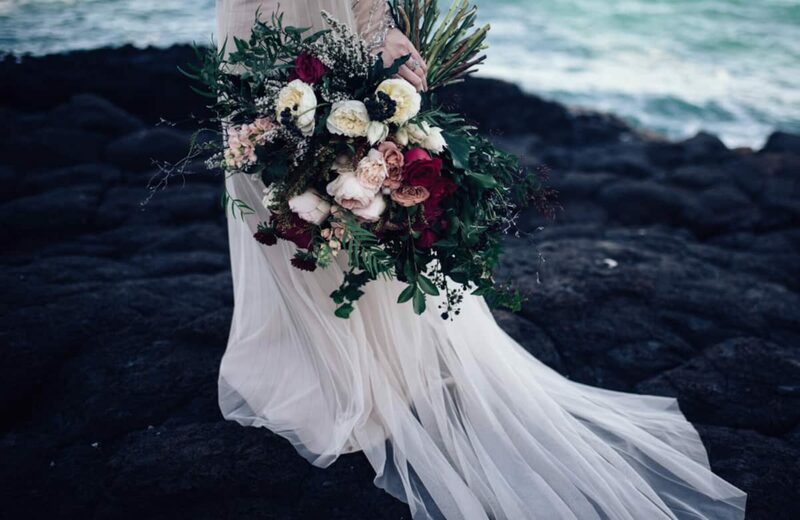 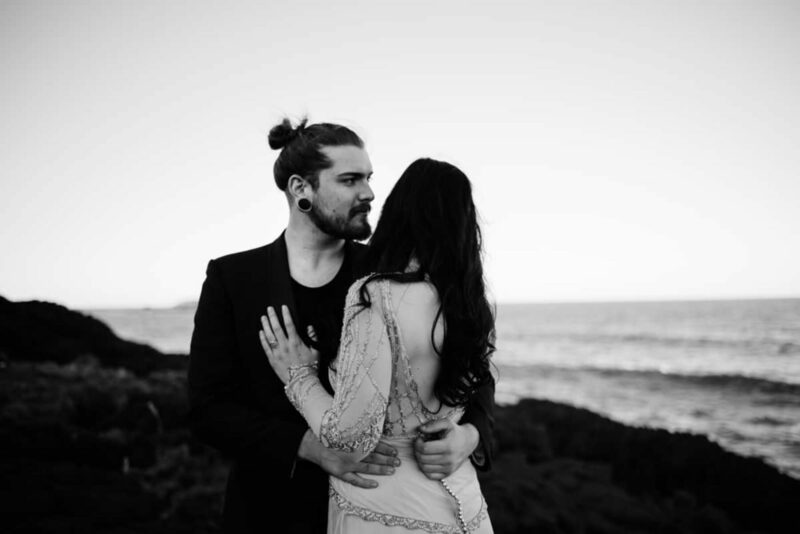 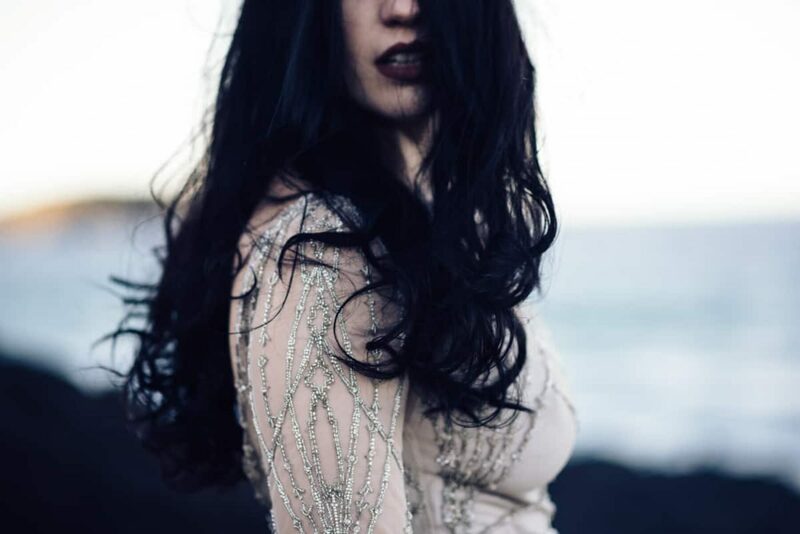 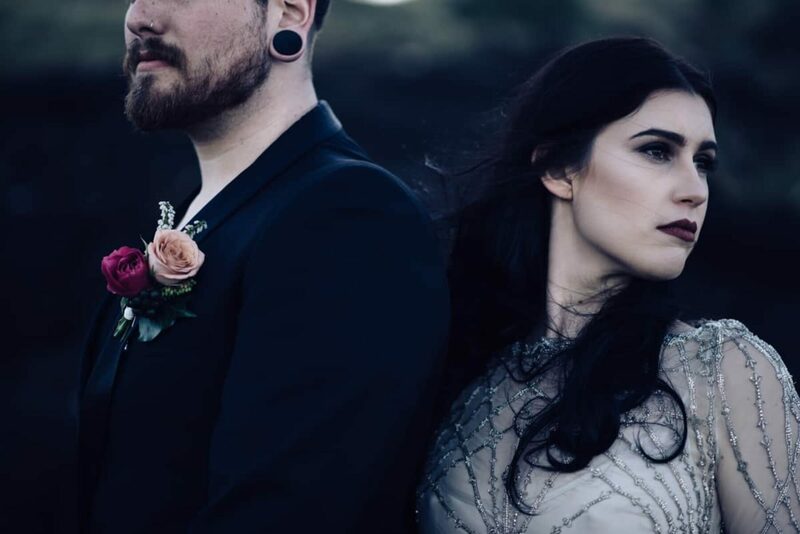 The impetus for this moody destination elopement shoot was Amanda’s own love story – she and her partner recently eloped following a proposal at this very spot, Fingal Head Lighthouse. 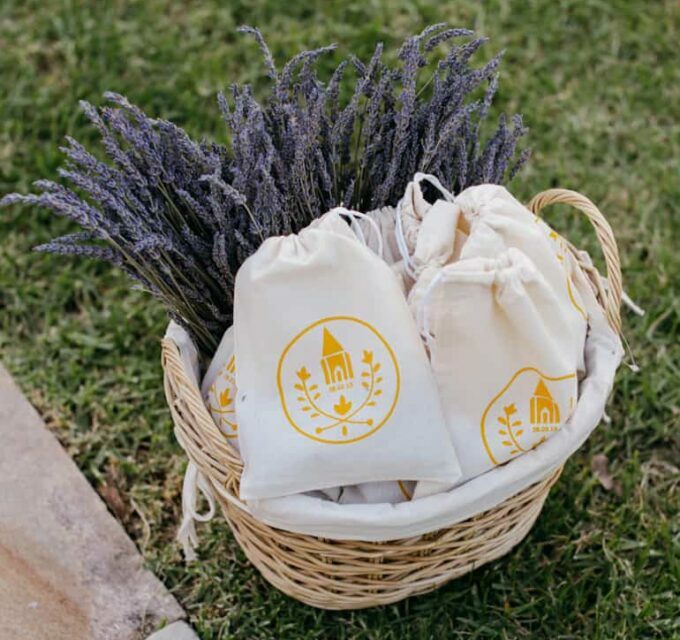 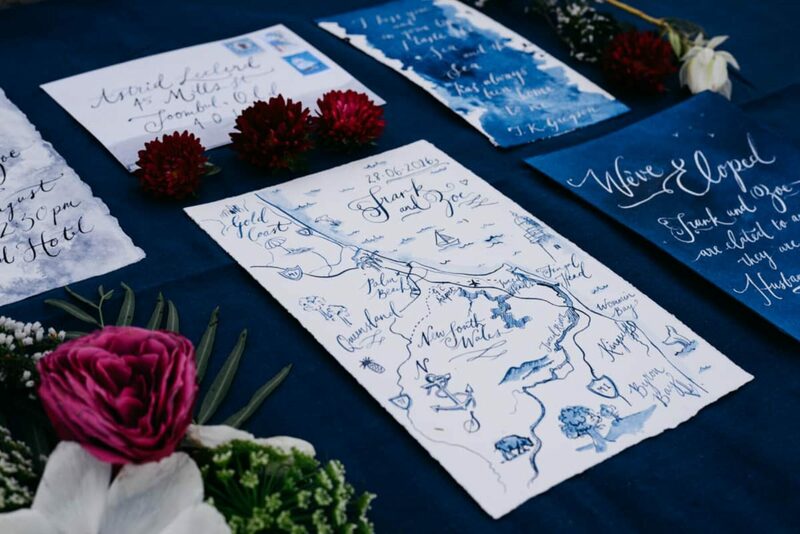 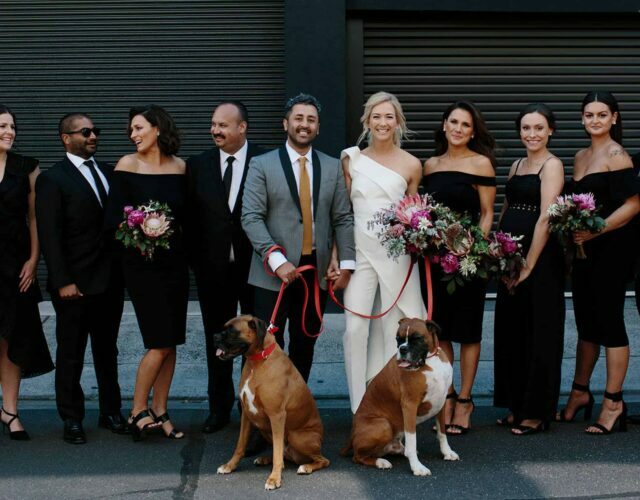 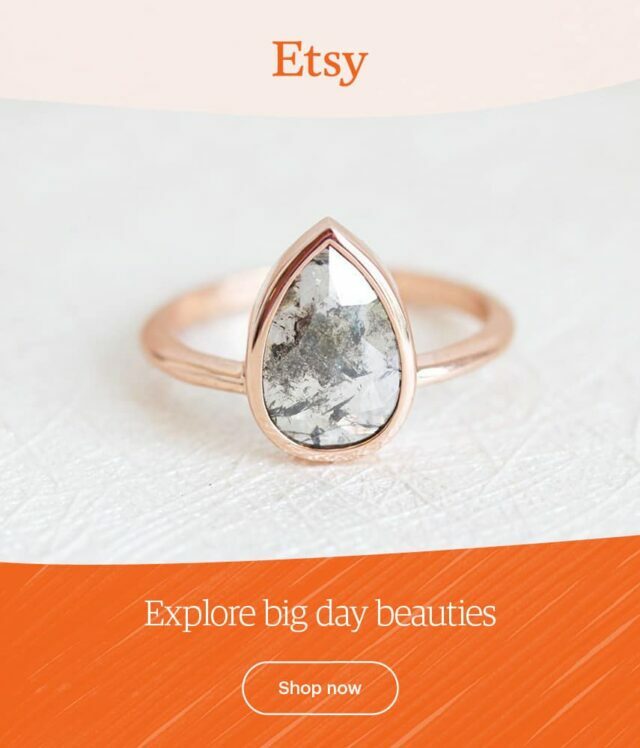 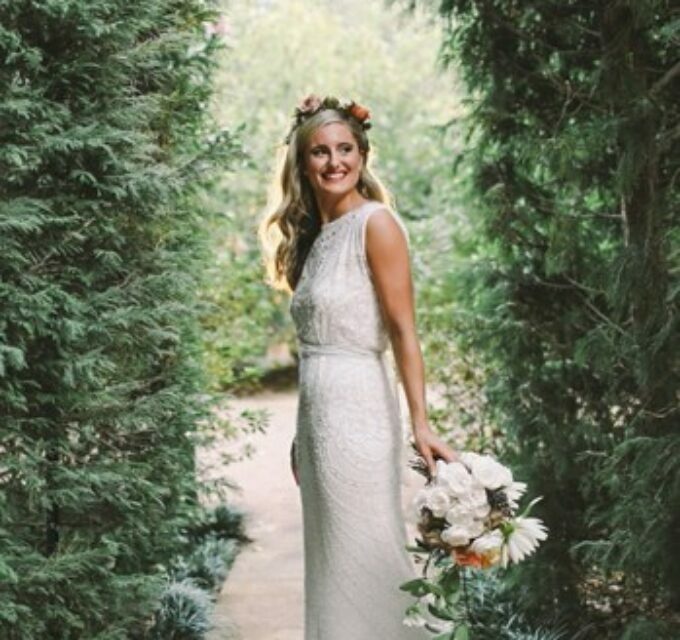 Combining a love of the ocean, poetry and carefree adventure with the spontaneity of an exchange of vows in front of the lighthouse, Amanda enlisted the help of a dream team led by Unleash Creative to bring her concept to life. 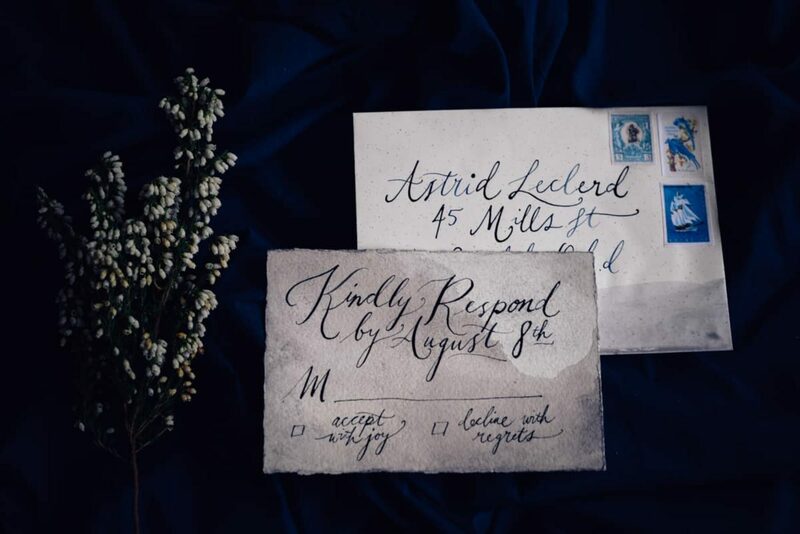 The elegant stationery by Lindqvist Ink featured a poem by Atticus. 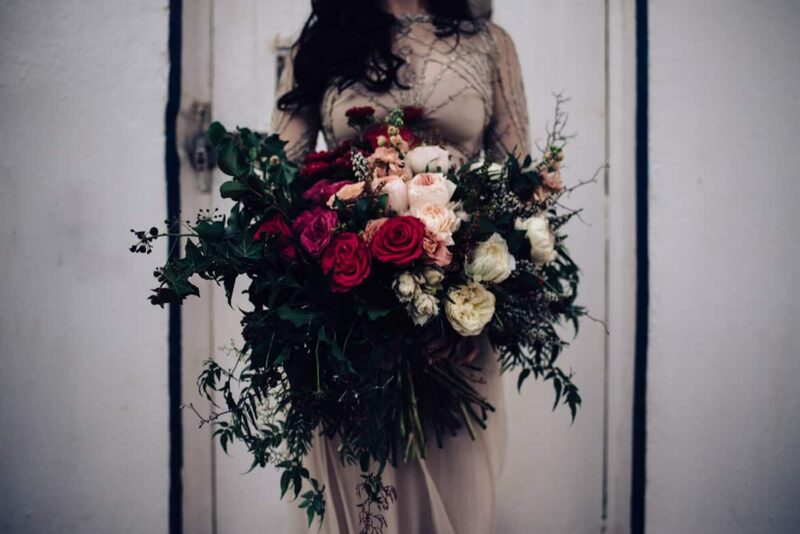 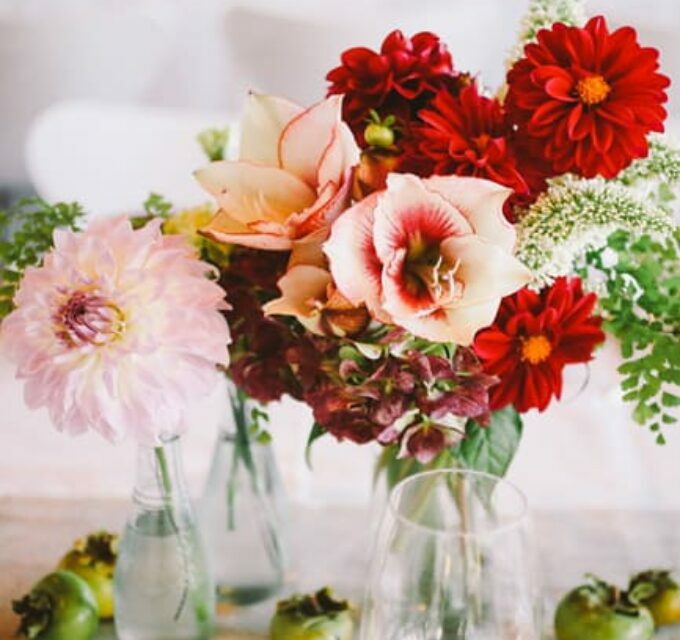 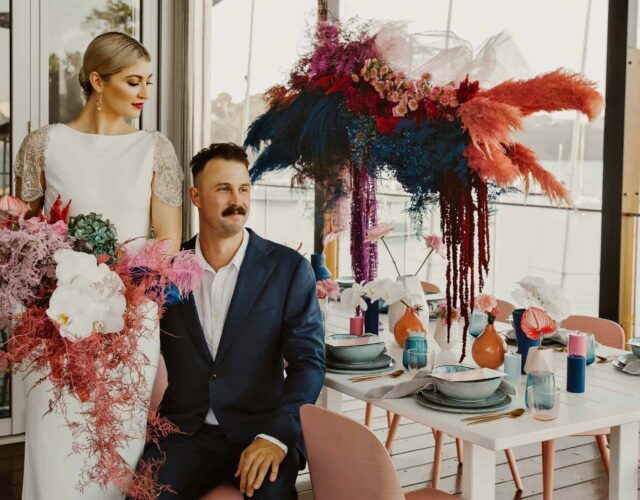 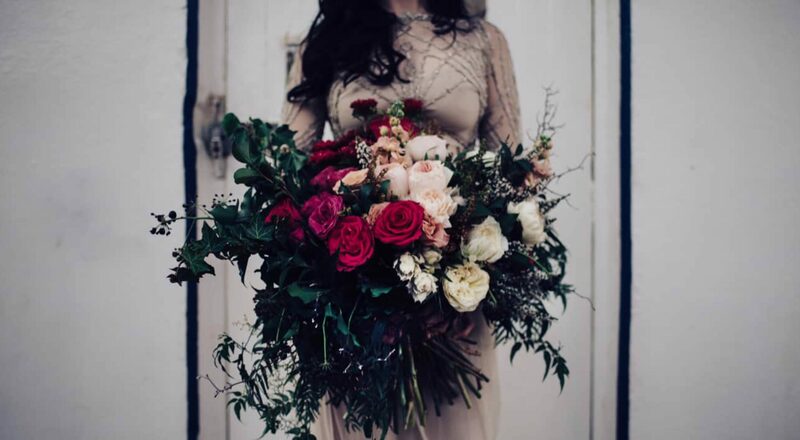 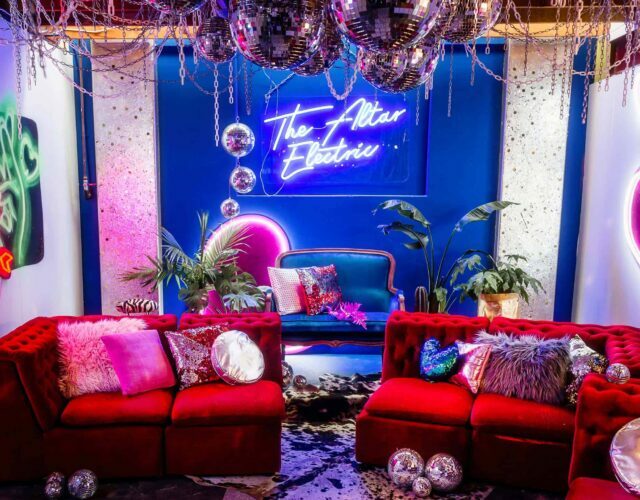 Décor by A Little Vintage Bliss in tones mirroring the deep blues of the sea and sky was complemented by unstructured Ruby and Ivy blooms with pops of velvety pinks and reds. 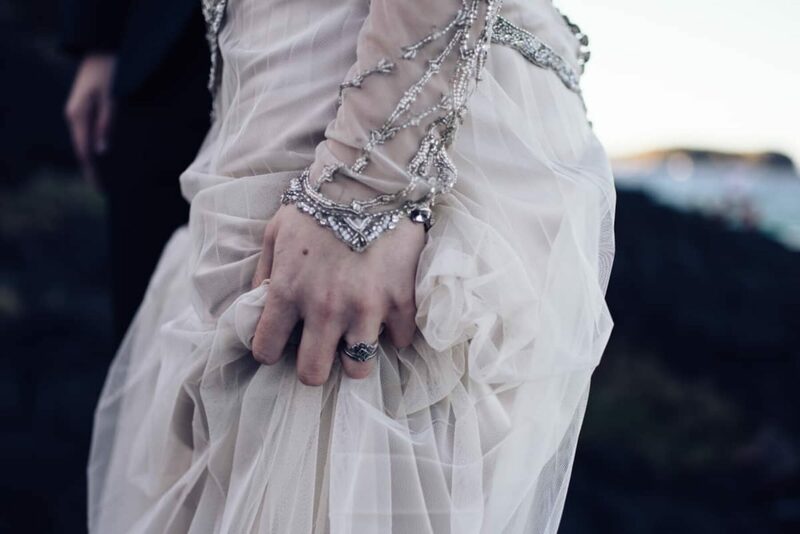 The muted colours of the seaside at dusk were the ideal setting for this Gwendolynne gown, with its subtle oyster colour and rows of delicate silver beading.